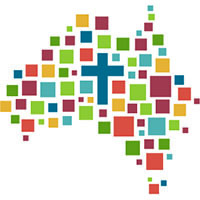 PROCLAIM, the biennial national evangelisation conference, this year has a particular focus on the Plenary Council process and how it can help renew the Catholic Church in Australia.The song, Listen, was composed and performed by Brisbane singer/songwriter Peter Pellicaan. He said the song draws on many of the key themes of the Plenary Council. “The song was composed as a call to the Church in Australia to listen to what the Spirit is saying as we prepare for the first Plenary Council since 1937,” Mr Pellicaan said. Plenary Council facilitator Lana Turvey-Collins said the song, which also draws on an inspirational homily from Brisbane Archbishop Mark Coleridge, has great meaning, but also fits in comfortably with modern popular and Christian music. “When we think back to World Youth Day in Sydney, the song that was written for that occasion became synonymous with that remarkable event,” she said. “Different people express their faith in different ways and, for many, song is a medium through which they can speak to the Church and to the world,” she said. Mr Pellicaan said Listen wasn’t written specifically for use within the liturgy, but rather as a preface to the Council’s Listening and Dialogue sessions as “a call to imagine, to reflect and to listen”.